Whether for animal storage, entertainment, garage, or combination working barn/living quarters, we can custom-design exactly what you want. We can also precut, deliver, and erect, anywhere in the nation. 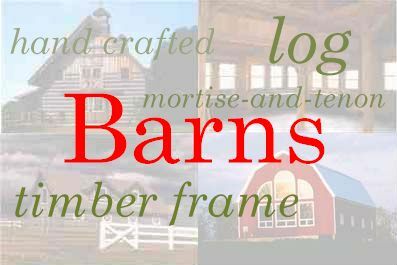 The link below leads to a few samplings of the barns that we have created. Send us your barn specs either by fax, mail, or e-mail in 3-D Home Architect® format and we will prepare a detailed proposal for your review.